The platform built to help you get better at recruiting. Find better talent, conduct more meaningful interviews and get the data you need to improve your process and make the right decisions, faster. "Worst, least intuitive User Interface of any software I use"
I like their logo and name. I think that's about it. There are applications I use on a daily basis that I love and the common denominator of the various applications I enjoy using is simple, intuitive user interface. Greenhouse is not one of them. I never know where I am in this application because there are often 5 different navigation menus, from primary to tertiary horizontal navigation to primary and secondary vertical navigation. Navigating this site is like trying to solve a rubik's cube. I'm shocked that they've gotten this far along as a company with an interface that *everyone* in our company I've talked to about greenhouse says is confusing. Their UI problems are certainly fixable, but I'm unsure whether it's a priority to their team. Applicant Tracking System / Recruiting Software. The only benefit I can see we've had since implementation is the storage of candidate data in a single repository, which is a solution to a problem we didn't really have. I like that it is a tool that's easy to use, has lots of details, explanations one can read through in case of questions. I like that there are constant updates and improvements which I didn't experience to this extent with other systems. Customer support is quick and helpful. Our Customer Success Manager replies almost immediately after business starts for them. Lots of possible integrations make it easy to customise the tool. As my company is based in Europe, we do not have constant support due to the time difference. I wish it was an ideal ATS for bigger companies too as the tool gets quite slow if there is too much data. The new GDPR feature might help to solve this though. I wish the CRM function came with the core product as recruiters often want to make pipelines directly in Greenhouse and the core product is not really designed for that. Greenhouse is an ideal tool for small to medium sized companies. I'd definitely recommend it, as it is very easy to use and has most functionalities needed to complete a full recruitment cycle. Effective hiring, nice overview of pipelines, scorecards etc. We also get quite a good set of data to work with and the reporting tool is quite easy to handle. Interview scheduling is quite easy as well - but could be improved. What Applicant Tracking System (ATS) solution do you use? "Greenhouse or... Greenhouse. Simple as that! " From the teams internal mindset & culture to their customer service to the value of their platform, Greenhouse embodies what it means to have GREAT people and a GREAT product/technology. I do not like that when I setup a new job that the details / description does not automatically transfer to the actual job post. It forces you to copy and paste and is an added step that takes a few minutes when it should not take any extra time. It's a clear cut winner over all the competition. Don't waste your time or money elsewhere. We are solving our ability to track candidates who might not be ready to leave their organization at the current moment, but adds them to our pipeline and allows us to manage all talent from proactive to passive recruiting and more. We have hired some talented people that might not have otherwise found us. "Best ATS I've ever used!" The "interview packets" and scorecards help us ensure that every interview is unique and focused. We get a lot of great feedback on our candidate experience that we are communicating regularly and our candidates are not answering the same questions over and over. The scorecards have helped us tremendously in hiring the best candidate for the role by ensuring that every interviewer's voice is heard and that everyone's view strengths and concerns are carefully considered. As an administrator, there are some improvements that could be made to some of the UI - a few too many clicks in some areas. The UI for basic users is great. The benefits that we have gained from using this system is that we are focusing not only on the skill requirements for the job but we have integrated our core values as a part of the process and our interviewers are clear on the areas that they are to be focused on. We no longer have interviewers trying to skim the surface on many areas, but they are going deep in just a few areas. Then during our debriefing sessions, our interview team can compare notes and make an solid, informed hiring decision. The best thing about greenhouse is it's User Interface. I am able to upload profiles easily, post jobs, screen resumes, make offers - all within the system. When set up correctly it is great. The internal job post is not copied after you create a job post and configure the external job post. It used to have this functionality (like it used to work and now it does not). They cannot figure out a solution, it really irks me. Seems like a simple solution and has not been resolves in I would say years. For some reason this is the most upsetting thing to me. I would recommend greenhouse over all other ATS I have used. So would say do it quickly. ATS and issues with candidates. Not sure the question. It helps with recruiting and helping it stay organized. Benefits realized, organization would be the honest answer. "Makes recruiting pipelines a breeze"
Where it's still struggling is integrations with LinkedIn and Google Apps, as both are part of our recruiting flow. We source via LI Recruiter into Projects, but there no easy way to create profiles based off that - they need to be created manually. Managing recruiting pipelines and running a tight process. Losing a candidate because they weren't contacted in time, or making a bad hire because notes weren't capture systematically can have disastrous consequences. If you believe getting the right engineer (for example) increases your enterprise value by $500K, and GH has 10% attribute, the value created is $50K per hire. Greenhouse is a great recruitment and application dashboard to host all open positions and manage referrals from current employees for future prospective candidates. I like that tracking of applications is made easy with Greenhouse as well as it is a pretty easy to learn program. It does require a lot of training of current employees to use the referral portion in Greenhouse. I wish this integrated with more software programs, but other than that, no complaints! It is customizable and they have friendly customer support. It does integrate with Google calendar and is fairly easy to use for all. Greenhouse is a great recruitment and application dashboard to host all open positions and manage referrals from current employees for future prospective candidates. This is a very user friendly program that does not require much training if any for current employees. I would highly recommend this easy to use systems for HR departments at is has made the hiring and referral process much more effective with everything in one place. Greenhouse is being used for recruiting new employees through current employee referrals as well as tracking applications that come in for current job openings. This has helped with tracking of applicants as well as job openings for employees to send referrals to the company. The ease of using this program has helped cut down time needed to train current employees how to use the program which is great. Forces discussion about recruiting workflow and planning for hiring/interviews in a way our previous ATS did not. For a small startup, that was useful conversation. A number of third party integrations are better built in by default compared to other solutions that charge additional fees. Much nicer default integration with our website than our previous solution. Our previous ATS made it easy for an admin to get a 10,000 ft view of the current hiring status in the company - who was in the pipeline, what stages they were at, etc. It was also easy to quickly review feedback or notes on candidates. With Greenhouse, that's a lot harder - there is no single high-level view I can find even as a super admin and I have to drill down into each role. Reviewing any specific information (names of active candidates, current statuses) means I'm forced through a particular workflow each time rather than just seeing the big picture. This might make a lot of sense for larger organizations where hiring is very compartmentalized, but as a small startup it's infuriating. 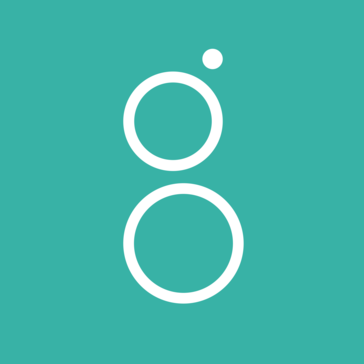 And since we often hire people who don't quite fit into a posted role, we'd like to be able to create a new role or category for certain types of people, but Greenhouse takes you through a lengthy and detailed workflow to do that. It's not an easily adaptable, agile product for small companies that don't have highly structured HR departments or processes. Great choice if you're a huge company with a lot of different groups managing their own hiring. Not a good choice for small startups. We do our job posts to our website through it, and that's a very smooth integration. We do our applicant tracking as well. That has been more frustrating than when we used a different solution, but it's better than nothing. Greenhouse makes applicant screening, interviewing, rejecting and hiring a breeze with an extremely intuitive interface. The collaborative features make it easy for multiple interviewers to see thoughts, notes and scoring of other interviewers. Really helpful feature is the time estimate on reviewing resumes based on your prior "minutes per resume" - this helps when you are looking for time to review. Greenhouse will let you know to get through your next group, it will take you X minutes. Allows you to block off time without having to stop midway through. Overall its a very well thought out solution with many features to make the process a breeze and is definitely the best tool I have used to date. Only dislikes in the system (which may be user error) are when you cannot find your interview kit on your dashboard. This could be due to how the recruiter setup the interview in the system - but its frustrating when you walk in for the interview and can't find the resume and scorecard. Another nice feature would be if you find a great resume on your job that would be great for another job, allowing you to push that resume into that job opening. Once you have it setup and working and your workflows are built out - you can use it all the way from hiring to on-boarding. We used to each to interviews and then meet as a group to discuss the candidate - this would waste hours of time and slow the process down trying to nail down 5 peoples schedules. With Greenhouse, we can all see each others notes and collaborate there saving time, and unnecessary meetings. One of my favorites... no more paper resumes!! Having everything digital is so much smoother and also prevents your junior managers from writing something "silly" on a paper resume and leaving on their desk for everyone to see. The added layer of privacy is very beneficial. "Functional but not a great user experience"
I think Greenhouse works well for both recruiters and nonrecruiters, including hiring managers and other people involved in the interview process. Hiring Managers find it easy to use and the exchange of information is simple through their @ mention feature. I don't think Greenhouse is recruiting or sourcing-centric. It does a poor job of integrating with Linkedin, which might be due to LinkedIn permissions but for example, from a previous ATS, I could easily manage my sourcing pipeline through the ATS whereas now I need a separate sheet doc to manage. Reporting is also not as intuitive as I'd like. I can build a simple report to see all of my active candidates but it seems harder to get reporting on my metrics overall. Greenhouse is somewhat of an industry standard for applicant tracking. My advice would be to demo all available ATS products and make your decision based on what is important to your team. Smaller companies or startups can experiment a bit more with other tools but if you go with GH know that there are shortcomings with reporting and using it as a sourcing tracker. Greenhouse is being used as our ATS. Benefits are that it can handle large volume hiring with ease and non-recruiting personnel seem to enjoy using it. "Wish We'd Used Greenhouse a long time ago..."
Greenhouse is a fantastic tool to keep all our applicants straight. It's super easy to use and allows HR to guide the process of review from early applicant entry all the way through to interview and final evaluation. We have alot of steps to the hiring process and often multiple people weighing in on the decision. This makes that whole messy process super easy. None. Super intuitive and really easy to use. We did our homework on this and Greenhouse kept coming up on top. Do the same thing, but I suspect you'll find that your needs are fully met by Greenhouse. Before Greenhouse we'd collaborate over email and try to track with spreadsheets. Interview discussion follow up was limited to grabbing five minutes after an interview and very little was actually tracked. This is allowing us to make better, smarter decisions about our applicants. And it saves a ton of admin time for our HR team. Love the website integration!! Greenhouse is user-friendly. It didn't take me long at all to understand the ins and outs of the software. I like the interface and how it helps keeps me and all hiring managers/teams on schedule. It's also an excellent resource for job postings. I'm able to update scorecards which hiring teams stay focused on what to look for in each candidate. It's a great way to collect fair feedback from each member of the hiring team on any particular job. It's also nice to be able to make quick notes within Greenhouse itself. This eliminates the need to email each and every request between the recruiting team/hiring team. We can communicate within the software itself which saves us time and is extremely efficient. Occasionally the Greenhouse calendar does not sync up with my Outlook calendar invites, which causes some members of hiring teams to reach out with scheduling questions and concerns. It's a great resource as an ATS and with a user-friendly interface. Job postings will be a breeze and you will be able to keep hiring teams on track with scorecards. It allows team members of the company to access as much or as little of the software as you would like -- this eliminates potential extra effort from the recruiting team. The recruiting team is able to keep track of all potential candidates in an organized manner. It is easy to put candidates in categories. We're able to give employees certain permissions on Greenhouse so they are able to change and access information about the candidate/the hiring plan and process. "Great tool for recruiting! " This system easily compiles all applicants and makes the whole recruiting process less painful than what it needs to be. Communication across all teams members is seamless - you can tag them in scorecards, get notified with sage transitions, etc. The settings side of Greenhouse is a bit complicated and needs to be a bit more user-friendly. How there are different roles for the users, for every role, how there's a difference between a job being open and being live, etc. Please get fully adapted to the system prior to going live. Greenhouse has so many features but once you get used to the system, it's very helpful. There are still features I haven't fully taken advantage of and I've been using it for almost two years! It helps us be more time efficient. One of the great things about Greenhouse is their templates. I used them all the time to reach out to candidates. A very useful tool when you have many job posts open, with many candidates! "Best Hiring Platform on the Market"
Excellent customer service, robust and customizable platform, automates everything that can (and should) be automated. Greenhouse is a wonderful platform - I'd recommend it over any other competitive product on the market. Arbitrary feature compartmentalization and pricing tiers. The logic informing which feature sets lie in each pricing tier seem somewhat counterintuitive - and the pricing for a la carte features is a bit unreasonable. Job approvals and postings, applicant tracking, interview process management, reporting, offer process management. Greenhouse drives our end-to-end hiring process and has increase adoption and engagement among our managers and staff. It's solved nearly every problem related to improving interviewing and hiring at our organization - Greenhouse is a heroic piece of software. Worth every penny. "Tracking referrals and job candidates"
I like that I can easily submitted referrals that would be a good fit for open roles and follow their progress. It's easy for me to enter notes when interviewing candidates. I don't like that I can't see a lot of details into why someone was ruled out right away. Great ATS for midsize to enterprise organizations or small businesses who plan to grow or are in a high growth mode. We utilized Greenhouse to grow from 0 to 1600 employees within 3 years. It makes it easier for us to find and track qualified potential new employees. It's made it much easier to submit and track referrals and because of the system a large amount of my co-workers got here through recommendations. It makes the life of our sourcers/recruiters a lot easier. "A world -class recruiting system enabling culture growth"
Greenhouse is both highly customizable and anchored in best practices that allows companies to grow and enhance their culture with each hire. Greenhouse has features and functionality that align to the current landscape of recruiting, and employs a focus on targeted interviewing, inclusive behaviors and seamless integrations with other technologies. The customer support and product teams are very open and receptive to taking customer feedback on features and workflows that not only improve the tool overall but allow companies to create a custom experience. Two main areas: referrals and reporting. On the referrals side, there are some hiccups in design that prevent companies from leveraging all the functionality of Greenhouse (for example, the ability to leverage custom questions on the application which are used for applicant evaluation purposes can be skipped if employees use the native referral functionality such that an employee referring someone for a role can bypass the application. Greenhouse has recently addressed this with the introduction of second level forms). On the reporting side, there is basic reporting available through the tool but the ability to create custom reports, have access to ALL the data (including custom fields) is very limited. Go with Greenhouse. Of all the systems out there Greenhouse is truly the leading tool. Between it's open API, deep integration partnerships and willingness to evolve the tool based on customer feedback and feature requests you cannot go wrong with Greenhouse. While there are some features which are not 100% this tool is far and away better than anything else I have seen on the market. Mainly creating consistency in recruiting processes across a wide range of org and roles, the ability to hire at high volumes and to do so seamlessly. Greenhouse has enabled us to hire culturally additive employees at scale. I appreciate the ability also to capture reliable data and candidate feedback on our process. "Robust, User friendly, Highly Collaborative, and Overall the Best ATS I've Ever Used"
You can tell Greenhouse was built by teams that get the challenges of recruiting. The product is intuitive in the data it collects, and efficient in allowing you to work through a high volume of openings while staying organized and on top of all your candidates. It also encourages company-wide collaborating between hiring teams and non-manager users alike. While the reporting functionality is easy to use, and there are a number of useful options out of the box - I wish the reports could be customized more. It would also be nice to have a built in boolean search functionality to look back on candidates who have applied before and send out targeted recruiting campaigns. This is the one area that our prior ATS/a Greenhouse competitor did better. Communication and decision making within hiring teams. Recruiting and interview coordination. Recruiting and hiring analytics. "Easy, flexible tool to optimize your recruiting processes"
The ease and flexibility of Greenhouse makes setting up interview processes very simple and fast. The workflows that trigger managers and interviewers for feedback means that I don't have to hunt people down. The new scheduling tool makes calendar coordination a breeze! As the system administrator you have to be very careful about keeping things buttoned down so permission levels are critical. It's very easy for a manager to reject a candidate without telling you and you may not notice the candidate has not been communicated with since they will fall out of the applicant queue at rejection. The reporting is decent but I have to use several reports to get what I need and then merge that into the spreadsheets that my business leaders want to see. Greenhouse offered us a much more digitally progressive way for candidates to apply. Job seekers can easily apply through their mobile devices using their LinkedIn profiles. We have gone through explosive growth and I could never have kept up with the workload without Greenhouse's optimization. As an organization, we are getting better at using the scorecards to support a structured, performance based interview process and it is helping the quality of hire increase over time. "Easy to use ATS with lots of customizable options"
Easy to train new users and get hiring managers involved in hiring for their roles. Very collaborative approach and can customize most things depending on user and role and organization. Templates for everything are super useful. Easy to see what your pipeline looks like for each role. Reports can be confusing and hard to find the information you need. Some parts of the UI are not super intuitive when you first start using it but are relatively easy to learn over time. Streamline recruiting processes. Get everyone involved in hiring. Hiring managers are more actively involved because of the transparency Greenhouse provides. Reduces a lot of admin time with templates and reports. "Greenhouse is by far my favorite ATS"
User friendly - this system doesn't require an extensive training process to start using. I was able to use it within an hour. I have used it several times in all sorts of ways for clients with full access or agency access. I don't really dislike anything about it? It's my favorite ATS. No recommendations per se, but new users if you need help the account managers at Greenhouse are wonderful resources! We are using it for our clients - solving the issues of tracking many candidates for at least 10 open reqs. Helps us get feedback faster / easier from the hiring managers and the ability to track progress. We also use it to see which recruiter submitted which candidate and when. "Greenhouse has everything you need all in one system"
I like how I'm able to see how many jobs an applicant applied to right from their profile. I don't like having to go through every single resume 1 by 1. Our previous system had a preview option once you hover over their name. I would highly recommend Greenhouse. You can't go wrong. It's a system that has everything you need to hire the right people for your company effectively and efficiently. We've elevated the hiring experience for hiring candidates, hiring managers and interview teams. We're also able to track everything all in one system and we weren't able to do that before. Also, getting interview feedback after the candidates have interviewed is super convenient to have in the system as well. Before, we were shuffling through emails or trying to remember verbally what the hiring manager or interviewer said about that candidate and if they wanted to move forward. How intuitive it is! Greenhouse is super easy to use. It also connects well with things like Linkedin and Google Calendar! I wish they included not just the EST time zone, but also PST. Additionally, sometimes the site is down. While I know these things happen, without GH, candidates cant move along in the process as quickly as we need them to. Making the candidate process run more smoothly and effectively. It's definitely easier, so trainings are easier. I was trained on Greenhouse when I first was learning recruiting, so I might be biased, but it's always been my favorite - easy to use, easy to train new users, good notifications to keep track of candidates, and for me, I like it the best. Compare your company's needs with Lever or a smaller ATS if you think that this is too big of a product for you. "Greenhouse does most things ok"
Greenhouse is fairly user friendly. It provides a single platform by which you can engage with candidates via email, scheduling events and filling out assessments. We are able to do nearly everything through Greenhouse, although we have had to add on a couple supplemental software products for things like pipeline management and onsite interview scheduling. Pay for the tableau extension if you want to do more extensive reporting. This costs about $10,000 more but is worth it because you cannot otherwise customize reports for different hiring groups. We are using Greenhouse for candidate management and applicant tracking. The benefits we have seen is that, if a member of our team is out of office, we have a single place of tracking all candidate activity and we can see what is happening with a candidate at any given point. "Very customizable but a clicker (poor UX)"
"Has all the bells and whistles!" Greenhouse has just about everything a recruiter/HR team needs, most importantly it helps create a clean, seamless, and timely candidate interview experience. My most used function of the platform is the 'Follow-up Reminder' which allows me to set specific follow-ups for candidates that I want to keep warm, provide an update, or closet out with. If I could request one feature, it would be a way to see ALL interviews that are taking place across the teams at my company. We are about a 100 person company, growing rapidly, with anywhere from 2-10 interviews taking place on a daily basis. While it might be overwhelming for someone to have insight into all of those details, it's a nice way for me to see which positions are moving along and/or nearing close. It allows all of our information to be stored in one place, for just about anyone to access. One of the best features of the app is the ability to track and keep progress on referrals. In the past, it was mostly done via email and word of mouth but with an online tracker, it allows you easily refer back to referrals during the hiring process. The resume parser can be a little buggy at times at picking up information from the resume but this could just be attributed to the different ways people format their own resumes. I would definitely take the time to make sure the entire team understands the process on Greenhouse and stick with it. If you keep all the notes and information on the platform, recruiting becomes a much less daunting task. Recruiting is a surprisingly expensive and all hands on deck process, and with a tool like Greenhouse, it allows you to streamline it as much as you can. Getting a lot of heads involved can be difficult but Greenhouse lets you do everything online so that people can offer input on the recruiting process while still focusing on their own work. "Greenhouse is Almost There, Helpful ATS"
Greenhouse is interesting because I've used a bunch of other old school ATS and they were just not cutting it. Greenhouse is certainly one of the better tools based on how it organizes information, it's clean layout and a few bells and whistles it provides in terms of reporting. I also love their app. This is supposed to be a power house tool. Yet I still find so many bugs in the system which is frustrating, especially when I'm trying to move quickly. Ensure you know how to get the most out of this software. There is a lot of value, you just need to dig deep for it. Greenhouse is an important applicant tracking system that can help a team track the candidates who are coming into their pipeline as well as the analytics surrounding how a Recruiter is working with those candidates. Once you start pulling that data, and measure that data, you can start to gain insight into your efforts much more effectively. "Solid tool with some shortcomings"
Greenhouse makes tracking candidates and prospects (both those who apply to us and those whom we source) straightforward. It has fairly robust reporting and makes it easy to collaborate on hiring decisions. 1) If you are a growing company and make changes to your hiring processes, those changes affect your data and reporting forever. When you add or change stages, they remain in any reports you pull and make data and analysis very cumbersome. I'd recommend taking a good look at your process before implementing Greenhouse, because making changes afterwards can create a mess. 2) Greenhouse doesn't allow you to do blind resume or take home test review, which means that our process is open to bias. We'd love to do these blindly (removing the name and identifying info from the application materials) but it is a ton of work. Make sure your process is well established before implementing Greenhouse, as this will make your data much cleaner in the future. Greenhouse has helped us to streamline candidate communication and reduced the time we spend following up on our hiring pipeline. It makes sure no candidates fall through the cracks and provides clarity to everyone involved where we are. "Decent applicant & interview management"
It's incredibly easy to use. Navigation is pretty simple, and it all comes naturally. Very helpful to use as we try to hire more! Candidate and referral history. It's nice to have all resumes, interview notes, etc in one place. It's easy to navigate within Greenhouse. The UX is simple. The interfact is clean. The information is logically organized. Sometimes you might not have sufficient priviledges to view all candidates. But, that's actually a good, protective measure and easily customizable for the admin. Greenhouse brings organization to the recruiting process, such that all those involved in hiring are informed and well prepared. It contributes greatly to interview preparedness and candidate tracking, where everyone can access the latest information quickly and not dig through various emails. "Greenhouse is an amazing program that provides insight and great analytics on our prospective employ"
It's really easy to create scorecards for the candidates that you interview. You can look at specific metrics for candidates, jobs, etc. The system is also very easy to use. The team is pretty responsive if you have any questions. The system also looks clean and trendy. It's far better than other applicant tracking systems I have used in the past. I dislike all of the constant changes to the system. It seems that every few weeks or so there are major system changes that shift where important things are. The system always looks clean, but it's a hassle to have to relearn where everything is every few weeks. More consistency is needed. Also, the support team can take quite a while to get back to you on system enhancements/improvements. If you are wanting a platform that is easy to use, provides insightful analytics, and looks great, switch to Greenhouse. It's far better than iCIMS or ADP! We are solving problems like time to hire, time to fill, quality of hire, and it helps us see where most candidates come from. Referrals are a breeze with the social media aspect and the link you can put there. "Great product, easy to use"
Easy to use, intuitive UI. Great for tracking a candidate's live cycle from start to finish. A lot of of the tech company partners we work with also use this ATS. KPI- driven, easy for our managers to define evaluation criteria and compare against industry standards. Pricing, its a little expensive for small start ups. Pricy but worth it if you are going through a major growing cycle and hiring a lot of new positions. Hiring the right candidates is paramount to our company and the speed with which we are able to find and hire good people that are right for the job is very important since the tech industry is very competitive. We are able to be more methodical and organized in our hiring practices with this tool. "Greenhouse helps us grow our potential candidates." Making sure everyone has the appropriate permissions is important but it is also tedius and frustrating when you can't complete a task based on your lack of permissions. We have a lot of decision-makers when it comes to hiring and being able to collaborate across teams and across roles to get input from everyone and putting all their input into one place has been amazing. "Very automated, easy to learn system for tracking applicants"
I love how much can be tracked, along with all of the integrations with other systems. It's a huge step up from previous systems that I've used. Everything is custom from templates to stages to questions we ask. My only complaint is that the candidate job questions appear somewhat hidden after you move them out of application review. Other than that, it's very user-friendly. It automates emails, it tracks your open vacancies, and it allows you to create and re-use templates. Very worthwhile! Hiring candidates nationwide for 50+ locations with 10+ jobs. Tracking the stages of each candidate and role is very simple. Great reporting capabilities. Great filters as well. "So Easy for Employees to Share Jobs on Social!" Having a simple space where we can search through our internal job board and send out referral links to possible candidates. If we do send a referral through we can track where they are at in the cycle instead of bothering our busy HR colleagues. I do not have full access to everything within the Greenhouse system, but everything I do have access to is great. Give it a try! It will cut down on so much administration work and give you more time to get more qualified candidates in the door. Cutting down on using insanely long Google sheets to track applicants. We also had no way to send out jobs on social and we're able to generate more interest in jobs. "Greenhouse makes hiring easy & fun! " I like the UI of Greenhouse - it's user friendly, let's you search and upload candidates easily. You can find feedback quickly and I like the scorecard aspect and interview kit. It was difficult to set up and we needed a lot of hands on support from Greenhouse which they provide but at an additional cost. I don't love the calendar and scheduling system and there should be a way to see all interviews going on on what day. You can't organize the jobs when you are working in GH for example if you want to only see the sales roles open you can't do that, you need to have all active jobs listed. If you can spend some time using it as a trial that could be helpful. Greenhouse has helped us have a more mature hiring process with the use of scorecards and interview kits. It's easy to have employees use and helps us measure different metrics that are associated with hiring. I love the ability to track applicants on the dashboard, and run Checkr background checks easily with the seamless integration they have. Greenhouse sometimes made me start a form over, but because I failed to use the dashboard correctly. Use Greenhouse, it really helps! Also, the Checkr background check integration is amazing. Free integration there, with no account or subscription fees. Unbelievable. Recruiting and hiring, as well as tracking bonuses for scouting. "Saving time and money in recruiting"
What I like is that I can make full reports to track the experience of each candidate running for the company. The platform is also highly configurable. A very negative aspect is that greenhouse does not offer a website specifically for candidates and for now has no plans to offer this feature in the future. If you need to recruit people for your company efficiently and effectively Greenhouse is the best option for managing all applications. Using the software I was able to optimize the search for curriculum and text on candidates this has saved me a lot of time and dollars head, filtering options search candidates have also helped me a lot and the ability to export data to Excel has been wonderful. "Smooth interface with integrations and automation"
Greenhouse does a great job of taking you seamlessly through the hiring pools and makes it easy to review applications and candidates in the fly. They have robust permissions settings to keep communication private when needed and integrate with several other systems that I used, like Slack. There is a "review applicants" flow that sounds to take you through a list of candidates quickly. This feels like a different software compared to the rest of the program and it is sometimes challenging finding the right options between this flow and the normal candidate browse flow. Greenhouse organizes and automates much of the hiring funnel processes in our business. Interview steps are clear for hiring managers and all communication is kept in one place rather than distributed though email inboxes. "Good ATS for start-ups/small companies"
It doesn't rank CVs in terms of relevance, I literally have to go through hundreds of CVs one by one. It is also a bit complicated for a new user. Greenhouse has made our recruitment process very easy, collaborative and efficient. "Useful for basic tracking, not great for interviewing"
I think that Greenhouse has a great system for tracking applicants. It's pretty easy to upload resumes and to review who has already been submitted. I also like that you can follow the resumes that you have submitted to see how the participant is doing in the recruitment and interview process. I think the search capabilities are excellent when it comes to searching for applicants in the system. Interview notes are difficult to input and customize. My company has a pattern to follow for interviewing that we aren't able to follow with our current Greenhouse set up. It would be nice if we could have some more customization options. I think that the search capabilities for jobs could be a bit better. I would like to filter down a bit more for job postings such as allowing searches just by title or office in a more easy to use manner. We are solving for recruiting holes that we have at our company. We have seen a benefit in allowing individuals around the company to submit and provide resumes and track those resumes in Greenhouse. It allows for transparency in the recruiting process without the need to continue to ask recruiters for updates. I like the versatility in tracking candidates at work. Within moments, I can find the applicant's contact info, linkedin, and history in applying to work for us. Lack of required fields. This is just me being stickler, but sometimes a candidate profile can be created using barely any information. Seeing as we have nearly 1M candidates in our system, this opens up a possibility for duplicate profiles to be created, and crucial candidate info to be lost. Use it or lose it! document and link everything that could be considered crucial to a candidate experience. Be thorough! It can be easy for another user to miss some important information of a profile isn't written & created thoroughly. "Awesome for tracking interview life cycle"
I am not the admin on our Greenhouse account, but I have conducted interviews for folks coming in for the role I'm currently in. I was shocked with how easy it was to numerically log how the interview went as well as use qualitative descriptions. I can clearly see what's the next step in the process is, what the other interviews thought of the candidate, and get a macro-level look at their candidate profile. 10/10. At this point I cannot think of anything that I do not like about Greenhouse. Gold standard for high-growth companies to recruit and track over the talent lifecycle. My company has more than doubled between June 2017 to October 2017. We used Greenhouse to methodically scale and track our recruiting process. The integration with our Outlook system for easy interview scheduling and emailing candidates. Sometimes there is major lag between scheduling something and the details updating in Greenhouse, which affects the accuracy of the info that autopopulates into our confirmation templates. Waiting for it to update slows down our pace. We’ve been able to create hidden job boards for some of our particular roles that we don’t want on the main career site, but instead you’d need a link to access. Also, keeping track of all candidate history is great, along with reporting functions to update hiring managers on pipeline. "Great product; easy to use; really helps streamline the hiring process"
There are so many things to like. I enjoy how easy it is to keep track of all of the documentation and information surrounding each candidate so it is easy to determine whether to progress people through the process. It is easy to collect feedback and determine who to move through the hiring process. Sometimes there is so much information that it can aggregate that it can be a little tougher to find one single piece of information. We also had to do a little work to make sure it was configured properly for each user so they could do what they need to do, but once we did, things worked really well. Trying to streamline the hiring process. Greenhouse helps us keep track of all candidates, ensure that they have been responded to and considered as part of the process. We were able to get through 150 candidates for our marketing position and find the perfect one. "Greenhouse - a great candidate screening tool"
Greenhouse is a great way to get relevant information about candidates throughout the screening process. It makes it very easy to have multiple members of the team join in during the screening and interview phases. Furthermore, the dashboard also helps busy HR professionals track the status of their applicants and easily manage the next steps in the process for each candidate. The process of hiring, posting jobs and creating an internal community at your company has never been easier than with Greenhouse. Greenhouse has a really rudimentary but still clean design. It'd be nice if the buttons and icons were made smaller and the grid lines thinner. This will help enhance the difference between information being presented which is largely text-based. I think with a couple iterations of trying new designs the app will be much simpler and easier to look at. Greenhouse solves the issue of overworking HR professionals and it creates an easy way to involve non-HR members in the interviewing and screening process with little to no debriefing needed between screening/interviewing participants. All of the work that happens takes place in the application and is incredibly meaningful for being able to foster collaboration across teams. Greenhouse does a great job of providing interviewers the necessary context heading into an interview - information about the position, the applicant, the applicant's resume & cover letter, etc. Gives me confidence that I'm not missing anything. Formatting on my iPad look a little funky - no margins around text, so words run right up to the edge of the screen. When I submit a referral, I don't see a way for me to continue to provide input on the candidate. Usually, I will refer someone early on, have a few conversations with them, encourage them to apply, etc. I leverage my personal relationship with that person to make it seem less like a standard recruiting process. So it would be nice to be able to continue commenting/updating that record as I find information out. Make sure you have someone who can own the software and make sure there are offline procedures/communications regarding how the company will utilize the software, who will have access, why it's important to the company, etc. I recieve a comprehensive view of the candidate and the open position, I can see other interviewers' comments, etc. Makes it easy to know that I've done the right amount of research prior to the interview so I don't have to waste time learning things within the interview. It's also nice to standardize everyone's feedback and collect that information in the same place as the resume, candidate record, etc. Referrals are much easier, and I imagine my employer receives a lot more referrals, and fewer referrals "slip through the cracks" since there is now a process around it all. "Great system for hiring/applicant management, even from just an interviewer's role"
It's an easy to use view of all candidates for a position. It doesn't let me stray from my assigned jobs. It's easy to toggle back and forth between status and candidates. Sometimes the pagination doesn't make a ton of sense. I don't like that some attachments get downloaded when you click instead of a quickview. I like that everything is in one place. I can see candidates that have applied for roles as well as move along those that make it to the next step. Once I do that, all of their information is in one place: cover letter, resume, desired salary, etc. The dashboard helps me keep track of my open positions and to dos. The breakdown showing where the candidates are coming from is very helpful. I like the ability to make notes on the account so I can share feedback or ask questions to our HR department. The email reminders are helpful most of the time to remember when I have interviews coming up. The scorecard after an interview does it's job. The interface is ok but could use a little more UX in the way of knowing what to do next and how to do it. Also, the scorecard is good but doesnt replace a full conversation after an interview. Helps us keep all of our open positions and candidates in one place. Streamlining the process has helped everyone in the organization gain more visibility into our hiring. * We monitor all Greenhouse reviews to prevent fraudulent reviews and keep review quality high. We do not post reviews by company employees or direct competitors. Validated reviews require the user to submit a screenshot of the product containing their user ID, in order to verify a user is an actual user of the product. Hi there! Are you looking to implement a solution like Greenhouse?